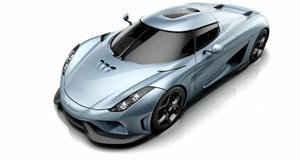 So we’ve seen what the new Koenigsegg Regera looks like when its side by side with a One:1, but now we've finally had an opportunity to get an up close look of the new Koenigsegg all on its own. This is the first Regera to be filmed in public and Koenigsegg claims that it is the fastest accelerating production car in the world. Only eighty of these bad boys will be sold and getting your hands on one will likely be no easy task. The look and sound of this thing is just totally insane; a beautiful car and a testament to the master craftsmanship at Koenigsegg. What’s especially unique about the Regera is that it has no multi-gear transmission and alternatively has a single-speed fixed gear. In other words, this Regera operates like a jet fighter. Check out this awesome video of the gorgeous new Regera starting up, rolling through some back roads, lowering its spoiler and being loaded onto a truck.